Recently, I posted an article on what you can do to get your website approved for making money with AdSense (12 tips). And now, this article outlines some of the best ways you can increase your AdSense Revenue. This list in no way issued by AdSense, and are figured out by me and some fellow bloggers by using AdSense for years. Not every niche generates equal revenue. You need to research a lot while choosing the niche for your website to generate the maximum money. If you are planning to run a blog in education/jobs niche, then you are expected to get a very high Cost Per Click (CPC) and generate a very high revenue. You must do a thorough keyword research for every page on your website. You should always try to write on keywords that have high CPC. The CPC for any keyword can be found out using any free tool like Keyword Planner from Google or using any paid tool like Semrush. AdSense allows a maximum of 3 AdSense ad units on a webpage. If you place less than 3 ads, you are not harnessing the complete potential of AdSense. There is no set length of content, but make sure to have sufficient content to place 3 AdSense units on your webpage. Moreover, the more content you have on your page, the more will be the keyword density, and AdSense will display more relevant ads which will increase the CTR and hence the AdSense earnings. AdSense allows you to block ads that are classified according to the type of ads. You can block a maximum of 50 ad categories. 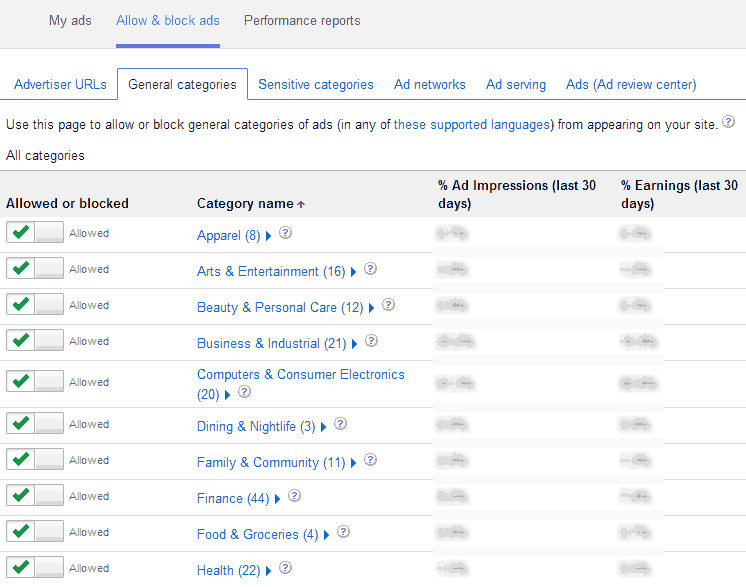 To make blocking process easy, AdSense shows you the percentage of impressions and the percentage of earnings for each category. You can then block all the categories that have high impressions and low earnings. To allow and block AdSense ad categories, first go to your AdSense dashboard and then navigate to Allow and block ads tab. No go to the General categories and block the categories which are giving low returns even with high impressions. Almost every AdSense publisher will agree that bigger ad units perform better. They have higher Click Through Rate and a better Cost Per Click. You should use 728×90 ad units in place of 468×60 and 336×280 ad units in place of 300*250 ad unit to increase AdSense revenue. The 728×90 and the 336×280 ad units are considered to be the highest paying ad units and I would recommend using them wherever you can. Advertisers in countries like UK, US and Australia offer heavy CPC for every click on their ad. If you can generate traffic from these countries to your website, then you can generate huge revenue from your website. The Countries with high CPC depend on the niche of your blog. To find out the highest CPC paying countries, open your AdSense dashboard and navigate to the “Performance Reports” tab. Now select “Countries” from the left pane. AdSense will list all the countries from where your website was visited and AdSense ads were displayed. Now you can see the CPC you got from clicks from different countries and also arrange them in descending order to see the highest paying countries. AdSense has two types of ads: text ads and display (image) ads. Text ads usually have a higher CPC but lower CTR. Display ads on the other hand have high CTR but slightly lower CPC. To make sure you generate maximum revenue, you should choose both ‘Text and Display Ads’ in the ‘Ad Type’ when creating new ad units. This will allow AdSense to display the ad type which is most likely to receive the click and is offering high CPC. Recently, AdSense introduced a new type of ad unit that automatically displays the ad that will fit best in the available space. This is done by calculating the width of the parent element and then displaying the ad with the maximum width that can fit into that space. This ad unit will always display the biggest ad that can be placed in the available area. This will increase the Click Through Rate and bigger ads usually have high CPC. Above the fold is the area that is visible to the user without scrolling. Ads in this area are known to receive the highest clicks and hence generate more revenue. Placing at least one ad in this area can give a great boost to your AdSense earnings. Don’t place more than two ads above the fold. AdSense wants the visitor to focus on content and not the advertisements. If you are a frequent visitor to this blog, you would have noticed that I try to embed ads within the article content. This ensures that the ad unit gets good CTR and AdSense displays the most relevant ads to my content. Do whatever it takes to bring traffic to your website. The more people visiting your website, the more are the clicks your AdSense ad units will receive, and hence, more is the revenue. Create good content, building high quality genuine backlinks and take benefit of social media. You can tell AdSense the content which it should consider while displaying ads on your website. The more and specific text AdSense has, the more relevant ads it will deliver and hence a better CTR can be achieved. Above is the sample showing how you can add the AdSense HTML markup to instruct AdSense which content to consider for displaying ads. You can add these HTML comments any number of times you want. Make sure you add the most relevant text within these comments, because the ads delivered by AdSense will be based on this text hugely. AdSense allows you to change the colour and font for the link, text and heading of any AdSense ad unit. Your users are more likely to click the links that they think point to content within your website only. If your change AdSense ad units theme to match your website, then people are going to click it more often and will help in increasing your overall AdSense revenue. So these were the top 14 tips that can help you increase the revenue you generate from your AdSense blog. 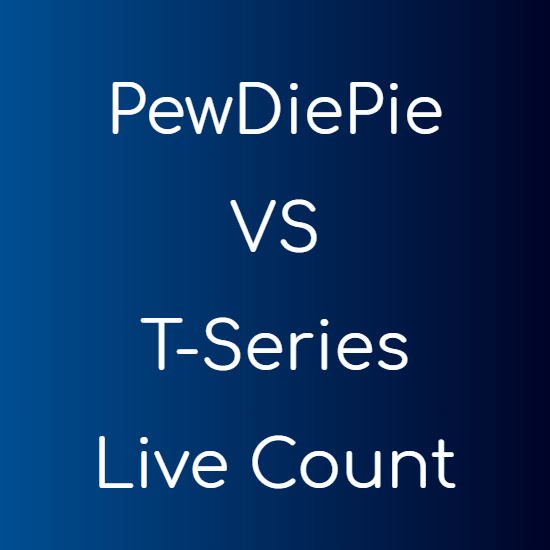 If you have any other tip, do leave that in the comments section below, we will add it to this list. You’ve really shared some really interesting tips with regards to Adsense and I guess most Adsense users will be grateful for it. That’s something interesting. When it comes to adsense , it is all about TRAFFIC. High traffic = High Adsense revenue. Thanks for sharing these wonderful tips 🙂 Keep writing . I would like to add one more point to it. try removing ads from there and put them only on your best performing blogs. This increases the overall earnings of your Adsense account. It’s something called Smart Pricing, which has happened to me in the past. Thanks for the tip Asif.